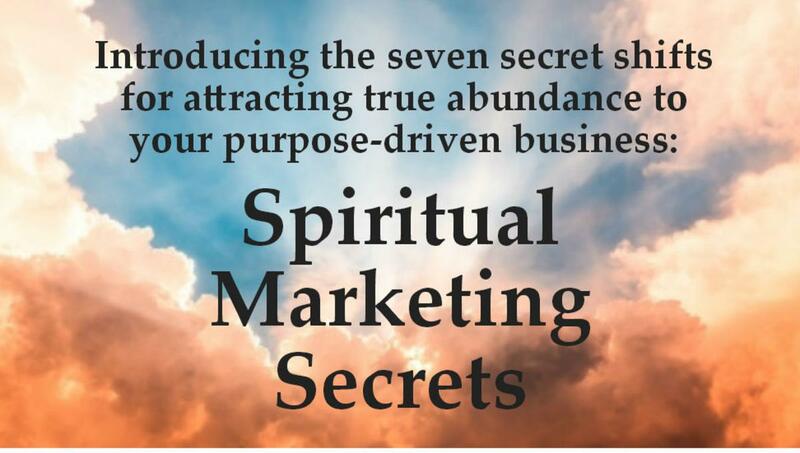 Are You Ready to Unlock the Mysteries of Spiritual Marketing Secrets? Introducing the seven secrets of attracting true abundance to your purpose-driven business! Have you been waiting for all the abundance everybody's talking about to materialize, but it continues to elude you? Here is the Truth: You can be absolutely excellent at what you do, but still not make a decent living at it. You can be an exceptional practitioner yet struggle to make ends meet, simply because you haven't yet made the seven secret shifts you must make to attract all the money, clients, and success you want. This information-packed class will reveal all of the seven secret shifts of spiritual marketing and how to align your marketing with your values, removing those barriers to your success and attracting the right people to you. This class is part of the DIY Marketing Strategies series from the DIY Marketing Center. Presented by marketing coach Ronnie Noize as a public service, this class is complimentary and open to the public.